When it comes to wet rooms and walk-in-showers, Wetrooms Online are the EXPERTS. 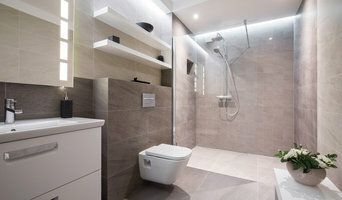 Having a luxury wet room doesn't need to have a luxury price tag or months of building works. Our leading range of walk in showers and wet rooms allow you to create your dream bathroom on any budget or style, with quick delivery. As the leading wet room retailer in the UK, Wetrooms Online are here to help you, whether you are trade or a homeowner. Our range of wet room kits make installing a wet room quick and easy, and our wet room help & advice section contains a wealth of information helping you plan, design and install your wet room. Give us a call today and we'll be happy to help you work out the perfect solution for your home. We are one of the fastest growing on-line, bricks & mortor bathroom retailers in the UK, supplying branded products as well as our own in-house designs. As a family run business based in Liverpool, we offer a click & collect service as well as a delivery service across the whole of the UK, Europe and further afield. We are passionate about bringing real value into our customers lives and businesses, one day it may be sending a replacement basin tap to Mrs Taylor in Edinburgh, the next day it may be supplying 120 bathroom suites to Hilton hotel, London. Either way, we are passionate about providing the highest quality bathroom products for the home and commercial sector. We are also commited to giving our customers the best prices possible and to achieve this, we have a dedicated team constantly working hard to help keep our prices low, which is great news for you. Not only do you receive unbeatable quality, you also receive unbeatable prices too! Our easy to navigate website has over 2,000 quality bathroom products to choose from. Once you have found the products you are looking for, we offer excellent delivery service options including next day delivery. What's more impressive is the aftercare you receive should anything go wrong. Our dedicated customer care team are available 7 days a week to help you. If you have any queries at all, please do not hesitate to get in touch. One of our friendly customer care team will be more than happy to help you. We provide an extensive range of replacement doors and accessories for kitchens, bedrooms and bathrooms that will completely transform the way you, and others will see your home by realising the hidden potential of any space. Choose from seven ranges, over 50 styles, and over 100 colours including our unique ColourMatch Service. We are an expert team of stone craftsmen and designers operating from an artisan workshop in the pleasant Cheshire market town of Middlewich. Quality workmanship and beautiful design lies at the heart of everything we do. We help create wonderful kitchens, bespoke bathrooms and one-of-a-kind stone installations for homes and businesses nationwide. Excel Granite & Marble Ltd take special pride in offering our customers the finest and widest selection of premium granite , marble and other natural stones available in the industry , Specialising in Kitchen Worktops , Bathroom Vanity Top and other stone project to your home . If you are looking for an effective way to truly transform your kitchen or another area of your home in Crewe, our quality stone products could be perfect. We take great pride in offering a variety of high quality bathroom products at online discounted prices. Whether you’re looking for the latest shower designs from some of the world’s leading manufacturers or a complete modern bathroom suite for under £300, The Bath House Online is the place for you and we are confident that you will find what you are looking for. The range of products at The Bath House Online includes toilets, basins, bidets, taps, showers, baths, designer radiators and all bathroom accessories to add the final touches and complete your perfect bathroom. Our online store offers many of the latest and most innovative products along with stylish bathroom furniture and useful plumbing and bathroom accessories. All products from The Bath House are designed and manufactured to look great in any bathroom suite regardless of its style, shape or size. Welcome to the Lucite® Brand Houzz page, where we hope to guide you with your material choice for your bathroom’s pièce de résistance – the bath. 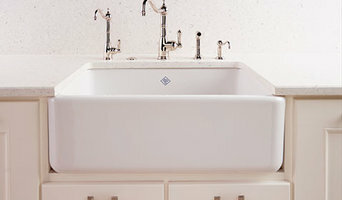 Selecting the right bath design and finish for your bathroom can be a difficult task, so let us help you. A bath crafted from Lucite® cast acrylic is warm to the touch – making for a much more relaxing experience. In fact, the material helps water maintain its warmth much longer than cast iron or steel. The highly durable, non-porous solid acrylic surface also better resists mildew and is scratch and stain resistant. Exceptionally strong, durable, scratch and chemical resistant, Lucite® comes in an infinite array of colours and effects. It can be thermoformed easily, which gives manufacturers creative freedom with their design features and is 100% recyclable. Baths, shower trays, basins and spas crafted from Lucite® acrylic have the ability to offer lifelong luxury. Explore our Houzz page, and if you’re inspired by what you see, ask your bath retailer for a Lucite® acrylic bath. We are a small and friendly independent kitchen and bathroom retailer with a showroom displaying seven kitchens and ten bathrooms. CHECKERS of CHURCHTOWN is a traditional, family run household decor & fittings retailer. Our knowledgeable team of staff are always on hand to help. We sell items from the most inspirational Wallpapers, Paints and fabulous Fabrics, to complete Kitchens, Bedrooms & Bathrooms, through to the tiniest Nuts & Bolts. Whenever you visit a house for the first time, your biggest impression of how it has been looked after will come from taking a good look at the kitchen. Checkers offer you the benefit of vast experience of designing and fitting kitchens which will last for many years. So if you want to be sure of being able to make good use of all your kitchen’s features well into the future, pop in and ask our advice. What should I hire a Liverpool, Merseyside kitchen and bathroom fixtures specialist for? Whether you are doing up a house you’ve moved into or you want to update your bathroom suite or fitted kitchen, working with a Liverpool, Merseyside kitchen and bathroom fixtures specialist will be extremely helpful. Even if you want to source your own fitted kitchens and bathroom fittings from bathroom and kitchen showrooms, unless you are a skilled craftsman someone will have had to make the fixtures and unless you are a plumber you’ll probably need some help with installation! On Houzz you can find kitchen suppliers, manufacturers and installers of fixtures and fittings in Liverpool, Merseyside to help with all aspects of the process. In the kitchen you can change more than just the sink and taps. Even without ripping out all the fitted kitchen units, you can still have bespoke kitchen doors made to replace the old ones and worktops laid over old surfaces or replacing them entirely. Instant boiling water taps, waste disposal units and induction hobs are just some of the gadgetry and convenient fixtures that are available for fitted kitchens from kitchen showrooms and suppliers. Take a look at the Liverpool, Merseyside kitchen suppliers listed on Houzz to find out the sort of fixtures and fittings they offer. A bathroom isn’t a bathroom without its plumbing fixtures and good bathroom fixtures can make or break a home when it comes to selling potential. 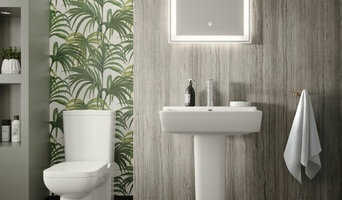 Take time to pick out bathroom fittings that work together; you can opt for a whole bathroom suite from a bathroom showroom or bathroom installer, but if you don’t want the overly matching look, a Liverpool, Merseyside bathroom fittings specialist can help you choose individual but complementary pieces. Power shower installation can boost the appeal of your bathroom (no one likes a weak shower) and extra special features like his and hers sinks, shower body jets and roll top baths will give your bathroom style that added oompf. If you can’t stretch to extravagant bathroom fixtures you can still talk to a fixtures specialist about electric shower installation or installing a new toilet; it may seem like a lot of hassle at first, but when you leave it to a professional, all the hassle is taken off your hands. Many Liverpool, Merseyside kitchen and bathroom designers will install or offer help with your fitted kitchens, bathroom fittings and fixtures, so if you want an all-in-one renovation service, you can contact these professionals on Houzz as well. Talk to kitchen showrooms, suppliers and bathroom stores to see if they offer their own installation service or can recommend a local Liverpool, Merseyside installer for you. Here are some related professionals and vendors to complement the work of kitchen & bath fixtures: Kitchen & Bathroom Designers, Kitchen & Bathroom Fitters, Interior Designers, Cabinet Makers. Find kitchen or bathroom fixtures and fittings manufacturers on Houzz. Check out Liverpool, Merseyside fitted kitchen showrooms and bathroom fittings installers on Houzz. You can also look through project photos provided by Liverpool, Merseyside kitchen suppliers, bathroom renovators, showrooms and designers to find fixtures you like and contact the professional who installed them.